Why is the position in such high demand and will it stay there in the years to come? Glassdoor recently revealed its report highlighting the 50 best jobs in America, and unsurprisingly, data scientist claimed the top spot for the second year in a row. Every year, the jobs site releases this report based on each job’s overall “Glassdoor Job Score.” The score is determined by three key factors: the number of job openings, the job satisfaction rating, and the median annual base salary. With a job score of 4.8 out of 5, a job satisfaction score of 4.4 out of 5, and a median base salary of $110,000, data scientist jobs came in first, followed by other technology jobs, such as data engineers and DevOps engineers. In fact, data-related roles are dominating similar jobs reports released over the past year as well. A new study by CareerCast.com revealed data scientist jobs have the best growth potential over the next seven years, as they are one of the toughest jobs to fill. Statistics from rjmetrics.com show that there were anywhere from 11,400 to 19,400 data scientists in 2015, and over 50% of those roles were filled in the last four years. A quick search for data scientist jobs in the United States on LinkedIn reveals over 13,700 open positions. Additionally, this job trends tool by Indeed, which showcases the demand for data scientists, reveals that both data scientist job listings and job seeker interest are showing no signs of slowing down. It’s estimated there will be one million more computing jobs than employees to fill those computing jobs in the next ten years, according to Computer Science Zone. So how did the role of the data scientist rise to the top of the rankings? Let’s examine a few of the reasons and trends that led the data scientist position to claim the number one spot for the best job in America again this year. Not only are individuals with skills in statistics and analytics highly sought-after, but those with the soft skills to match are driving demand for data scientists. Business leaders are after professionals who can not only understand the numbers but also communicate their findings effectively. Because there is a still such a shortage of talent who can combine these two skillsets, salaries for data scientists are projected to grow over 6% this year alone. So where are all the data scientists to fill these jobs? The main answer to this question is that they’re not trained yet. While computer science programs are on the rise, it’s still going to take some time for supply to catch up with demand. Big data and analytics courses have started making their way into the classroom only in the past couple of years so addressing the data science talent shortage won’t happen overnight. The number of job openings will certainly continue to outweigh the number of professionals with a sophisticated understanding of data and analysis to fill those openings over the next couple of years. The role of the data scientist is evolving, and organizations desperately need professionals who can take on data organizing as well as preparing data for analysis. Data wrangling, or cleaning data and connecting tools to get the data into a usable format, is still highly in demand. Data preparation may require many steps, from translating specific system codes into usable data to handling incomplete or erroneous data, but the costs of bad data are high. Some research shows that analyzing bad data can cost a typical organization more than $13 million every year. Therefore, there will always be a demand for individuals who can weed out bad data that can alter results or lead to inaccurate insights for an organization. There’s no doubt it’s time-consuming work. In fact, data preparation accounts for about 80% of the work of data scientists. But even with the increased availability of highly sophisticated analytics dashboards and data collection tools, there will always be a demand for professionals who possess the advanced skill sets needed to clean and organize data before being able to extract valuable insights from it. While small-to-medium sized organizations are not churning out nearly as much data as larger enterprises, sifting through that data to extract meaningful insights into their businesses can be a powerful competitive advantage nonetheless. We’re also seeing entry-level data scientists flock towards startups and smaller firms because of the perception that they will be able to tackle higher-level work earlier in their careers. Data scientists possess a broad range of skills, and they want to be able to put all of those skills to use right away. Smaller firms are also hiring fast. Large organizations looking to recruit entry-level data scientists are taking note that their multistep, legacy hiring and recruiting processes may need some updating if they are going to attract the top talent that they desire. So for now, as the demand for data professionals continues to surge, agile organizations continue to be the more favorable choice for data scientists, regardless of their size. The demand for data scientists is high, and professionals can enter the world of data science a number of ways. University programs are a good start, but a data science position often requires a mixture of skills that many schools are unable to package all together. One way to develop all of the necessary skills is by attending a data science boot camp. 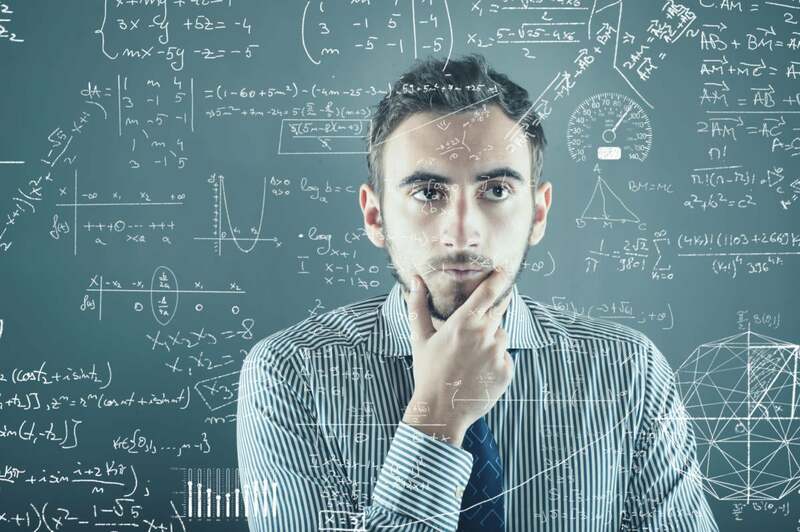 Not only will you learn the analytical skills required for a data science position but you’ll also receive training for the softer skills that are becoming more and more common in data science roles – skills such as managing projects and teams across multiple departments, consulting with clients, assisting with business development, and taking abstract business issues and turning them into analytical solutions. So if you’re still deciding the right career path, or thinking about making a career change in 2017, consider exploring what it takes to be a data scientist – one of the fast-growing and highest paid jobs in America right now.